Free GIS software users rejoice. Once commercial GIS software, now turned open source (GNU General Public License). ILWIS, short for Integrated Land and Water Information System, was developed in the Netherlands for commercial use. But this user-friendly software product is now (and has been for a while) downloadable for free from 52 North. ILWIS has a couple nice features for your everyday GIS needs. We’re here to let you know what those features are. Over the years, ILWIS has improved significantly Notably, its visualization had a massive upgrade in version 3.8 for overall performance in maps. The most significant upgrade is how the performance of Its drawing speed increased. As part of this upgrade, maps have the capability to display transparencies at many levels (whole maps, selections, individual elements or properties). Furthermore, almost all elements can be made transparent. ILWIS supports 3D visualization with interactive zooming, rotation and panning. Despite Digital Elevation Models (DEM) being the most popular source of height information, you can add multiple types of sources for height. With 3D visualization, you can interactively incorporate space-time cubes for a spatial-temporal context. It has better support for time series with the possibility of synchronizing different animations. All animations are available in a map window. Lastly, it supports on-the-fly re-projections, annotation functions, printable outputs and import/export through the GDAL library. As mentioned earlier, remote sensing has always been a strong point for ILWIS. This is why we’ve included it in our top 10 list of open source remote sensing software. It is equipped with stereoscopy and anaglyph tools to create stereo pairs from two aerial photographs. From here, DTM operations can create a stereo pair from a single raster map and a Digital Terrain Model (DTM). 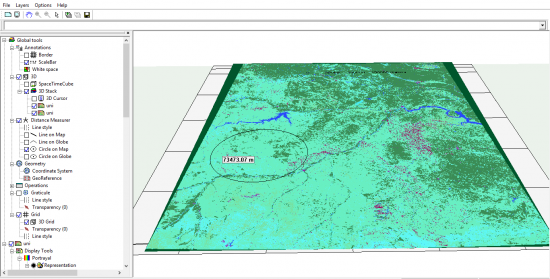 If you have satellite data, ILWIS has image classification techniques to create land cover classes. You can also import based on satellite sensor. 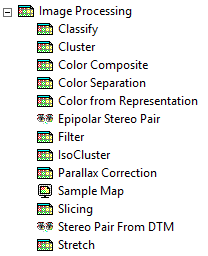 All things considered, it has all the necessary tools for raster mosaics, cross-section visualization and spectral band manipulation. ILWIS has all the vector basics – digitizing, editing and geoprocessing. Actually, it’s similar in many respects to GRASS GIS software with its vector, raster and practical tools. Overall, this open source GIS and remote sensing software has some extensive documentation as well. What’s coming down the pipe for ILWIS Open? This is best understood by looking at its Road Map. ILWIS is currently available natively only on Microsoft Windows. However, soon it will become cross-platform and web enabled. The long-term goal is to be able to deploy ILWIS Next Generation based apps on all major mobile platforms. It plans to enhance its plug-in architecture for ILWIS extensions. This means it will invite the development of new functionality by user community through plugins. In other words, one can extend applications without changing anything to the main application. Another potential change is the implementation of a processing server for computational intensive tasks. Finally, it aims at being a connection hub between various heterogeneous data and processing sources (local-remote). There is more potential plans for ILWIS Next Generation, which can be found on the 52 North website. The extinction-proof ILWIS is free GIS software for planners, biologists, water managers and geospatial users around the world for their GIS needs. It’s quite popular in the remote sensing industry as well. 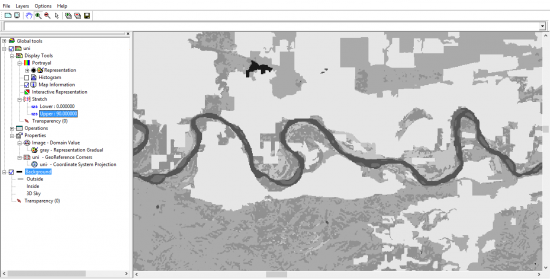 What do you think of this open source GIS software? How do you use it in your work? What would you like to see in future versions? The focus of uDig (User-friendly Internet GIS) is placed on database viewing and editing as well as a rich collection of GIS functionality. Hello from Neplal. I am new to this softawre. My raster image does not open properly . It shows continious lines for a map instead. Can you help with detail steps? I am trying to work on Hortons ratio of a catchment. Please someone should help with the steps on how to classified image using ilwis software thanks.